Pace and CTA officials are planning a sweeping overhaul of their bus system on the city's Far North Side and North Shore suburbs. CHICAGO — The data doesn't support a proposal by three Far North Side aldermen to extend the No. 155 Devon Avenue bus as far west as Lehigh Avenue, according to suburban transportation officials. Ald. Margaret Laurino (39th), Ald. Anthony Napolitano (41st) and Ald. Debra Silverstein (50th) laid out their request in an August letter to the Pace bus agency, which is working with the CTA on a sweeping plan to overhaul service on the Far North Side and northern suburbs. 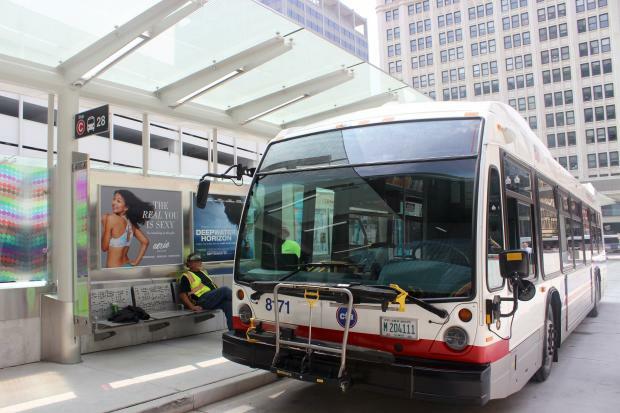 The extended route would "serve a sizable, underserved, disproportionately elderly population" and "improve connectivity with existing transit lines," the aldermen wrote. Researchers threw cold water on that prospect last week, saying their data identified the three-mile strip of Devon past Kedzie Avenue — currently the bus route's western limit — as a "low-density, auto-centric" environment, according to Pace spokeswoman Maggie Daly Skogsbakken. "While demographics may be changing, the study did not identify this area as one likely to have a high propensity of transit users," Skogsbakken said. But she added residents of North Park and Sauganash could benefit from a different proposal being teed up: extending the No. 215 Crawford/Pulaski Pace bus, which currently stops at Howard Street, as far southwest as the Jefferson Park Transit Center. Neighbors near Devon could also walk a half-mile south to Peterson Avenue, where they can hook up with the No. 84 CTA bus, Skogsbakken said. The aldermen did not immediately respond to requests for comment Monday.